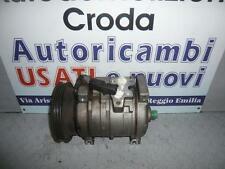 JPB000100 COMPRESSORE CLIMATIZZATORE CLIMA A/C SANDEN MG ROVER ZR 1.4 B 76KW 5M (2004) RICAMBIO USATO. 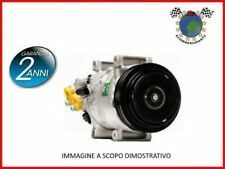 Categoria prodotto: Impianto climatizzazione/Compressore climatizzatore clima a/c. Se indicate, le compatibilità qui riportate sono risultate da catalogo non ufficiale. Autodemolizioni F.lli. Vecchiori snc. Risultati di ricerca. Massima serietà ! affidabile al 100% ! In caso di problemi. AUTODEMOLIZIONI F.LLI VECCHIORI SNC. Gli ordini sono impegnativi. ROVER MG ZR (2004) 1.4 BENZINA 76KW 3P. COMPRESSORE CLIMA CLIMATIZZATORE. Anno: 2004. Codice: JPB000100. COMPRRESSORE CLIMA ARIA CONDIZIONATA. MG MG TF 135 1796 03/2002> 136 100 18K4F. Olio compressore PAG 46. ID compressore SD7V16. MG MG TF 135 1796 03/2002>12/2009 136 100 18K4F. Olio compressore PAG 46. ID compressore SD7V16. PART NUMBER VALEO 699347. Land Rover Freelander & MG ZT & Rover 75 Air-Con Compressor. MG MG ZT 2002 -- [2001-2005] Saloon Saloon 2.0 CDTI 1951ccm 116HP 85KW (Diesel). MG MG ZT 2002 -- [2001-2005] Saloon Saloon 2.0 CDTI 1951ccm 131HP 96KW (Diesel). MG MG TF 135 1796 03/2002>12/2009 136 100 18 K4F. Olio del compressore PAG 46. ID compressore SD7V16. ROVER 45 (RT) 1.4 1396 02/2000>05/2005 103 76 14 K4F. ROVER 45 (RT) 1.6 1588 02/2000>05/2005 109 80 16 K4F. MG MGF (RD) 1.8 i 16V 1796 03/1995>03/2002 120 88 18K4F. MG MGF (RD) 1.8 i VVC 1796 03/1995>03/2002 146 107 18K4K. Olio compressore PAG 46. ID compressore SS144FV1. MG MG TF 120 1796 03/2002> 120 88 18K4F. Prodotti originali e nuovi. IL PRODOTTO E' COMPATIBILE PER I SEGUENTI VEICOLI. All parts are tested where possible. Unless otherwise stated the item in the picture is the one you will receive. We will do all we can to help you identify the correct part if you ask us. WE NOW ACCEPT ALL MAJOR CREDIT AND DEBIT CARDS. Prices remain in force until we publish new prices on our website. Best of Rover Spares LTD. We reserve the right to restrict the number of products you may order and to refuse any order. Only when we have accepted your order is a binding contract created between us. MG MG TF 160 1796 03/2002> 160 118 18K4K. Olio compressore PAG 46. ID compressore SS144FV1. (2010) MK1 Mg TF 135 LE 500 Air Conditioning Compressor Pump A/C. Numbers on Pump - WXH - 086 - R. Engine Code - 18N4S2. Removed from a 2010/10 plate MK1 Mg TF 135 LE 500, 2 Door Cabriolet, 1.8 Petrol, Manual. Please make sure part is correct before purchasing. Also please see images as these are part of the description. Any questions just ask. Postage (UK MAINLAND ONLY) International buyers please contact us for price and availablility of postage to your location. MG MGF (RD) 1.8 i 16V 1796 03/1995>03/2002 120 88 18 K4F. MG MGF (RD) 1.8 i VVC 1796 03/1995>03/2002 146 107 18 K4K. MG MG TF 160 1796 03/2002>12/2009 160 118 18 K4K. Olio del compressore PAG 46. ID compressore SS144FV1. MGZS ROVER 45 400. Air conditioner Evaporator Adaptor. New Genuine MG ROVER part. GT MG SPARES LTD. UNIT 1 OLD HALL INDUSTRIAL ESTATE. LAND ROVER. Compressore per Molle Bobina da 2 Pezzi 370 mm. Compressore Molla con 3 Coppie di Ganasce Set. Compressore Aria Condizionata BMW 3 E46 5 E39 7. 188,98. Compressore Aria Condizionata BMW 3 E46 5 E39 7. 182,88. Part Number:JPB101154. Part:Air Conditioning Compressor Pump (2.5 V6 Petrol Denso). Condition: Good condition. New Genuine MG ROVER Air conditioner Receiver Tri Pressure switch JTB100220. GT MG SPARES LTD. ROVER 45/25/200/400. UNIT 1 OLD HALL INDUSTRIAL ESTATE. THIS PART WAS TAKEN OFF FROM A MG ZR 1.4 105 TROPHY FACELIFT 2005 55 REG. THIS PART IS A USED PART AND HAS BEEN FULLY TESTED AND IS IN GOOD WORKING ORDER. If you are not 100% satisfied with your item or discover there is a problem with your item once you have recieved it. PART NUMBER 1219F. ROVER 25 45 MG ZR MG ZS A/C AIRCON COMPRESSOR PUMP. IF THERE ARE PART NUMBERS IN THE ADVERT, THEY'RE THERE FOR A REASON. THIS MUST BE CHECKED PHYSICALLY AGAINST THE PART YOU ARE REPLACING. MG6 (1.9 diesel only). BELT FOR MG. New Genuine MG Motor UK Spare Parts. MG Part No. For best perfomance & reliability use Genuine MG Motor UK Parts. 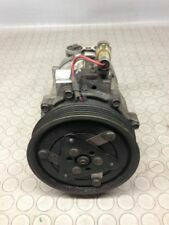 Rover 45 MGZS Air conditioning Compressor. New unused Genuine MG Rover. GT MG SPARES LTD. ROVER part number JPB100050. UNIT 1 OLD HALL INDUSTRIAL ESTATE. Klimakompressor Typ. Passend für Klimakompressor. Klimaanlagen und Standheizungen. 35,00 X 52,00 X 20,00, 35,00x52,00x20,00. Reciever OE NUMBER JRJ100260 Which superceeded JRJ100740. Used Genuine OE ROVER MGTF OR MGF aircon reciever dryer. GT MG SPARES LTD. UNIT 1 OLD HALL INDUSTRAIL ESTATE. Part Number:JPB101144. Part:Air Conditioning Pump Compressor (Denso). Model:Rover 75/MG ZT/ZT-T.
Part Number:JPB000040. Part:Air Conditioning Pump (2.5 V6 Petrol Denso). Model: Rover. Condition: Good condition. Federform:Federende unten plangeschliffen. Sehr guter Service. Viele Markenprodukte. Große Auswahl. Ihre Vorteile.